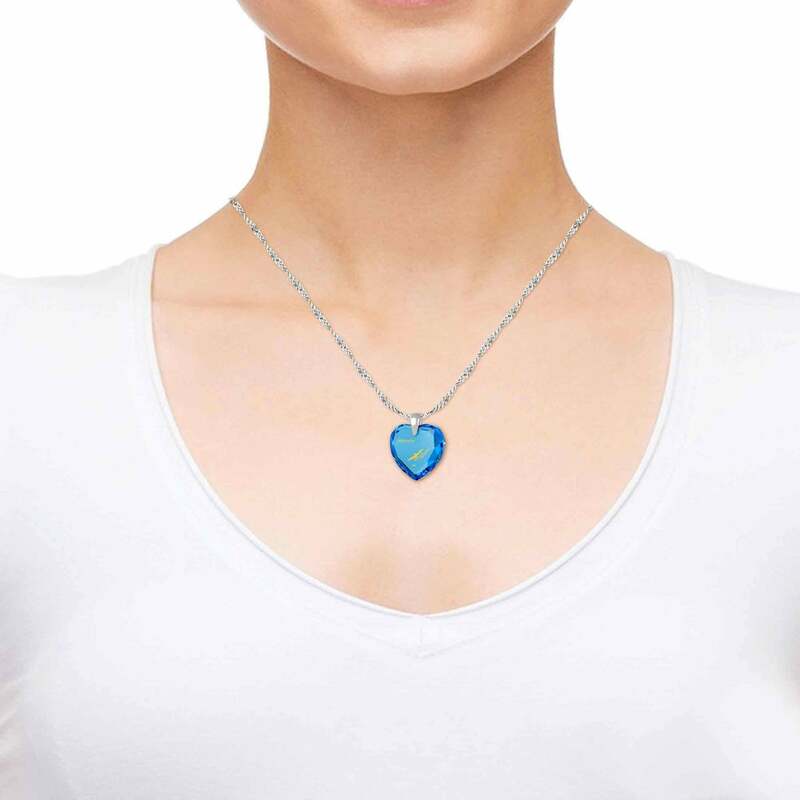 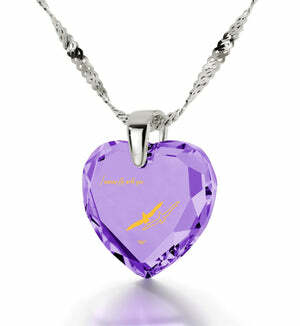 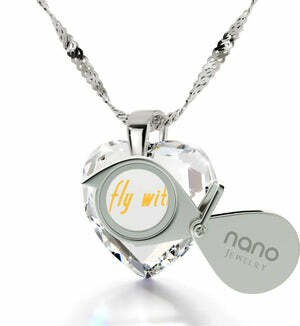 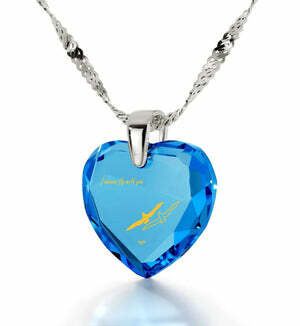 Love Gifts for Her, Buy Romantic Sterling Silver Nano Jewelry Today! Exceed her expectations with this exquisite piece of dainty jewelry! 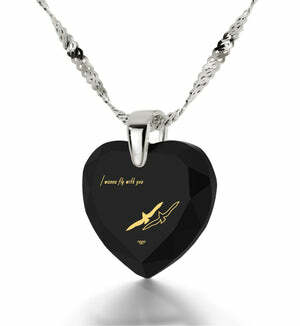 Imagining one’s future together with one’s soulmate is an incredible experience. You’ve gone through so many highs and lows already that the promise of a continued live just feels so… right. 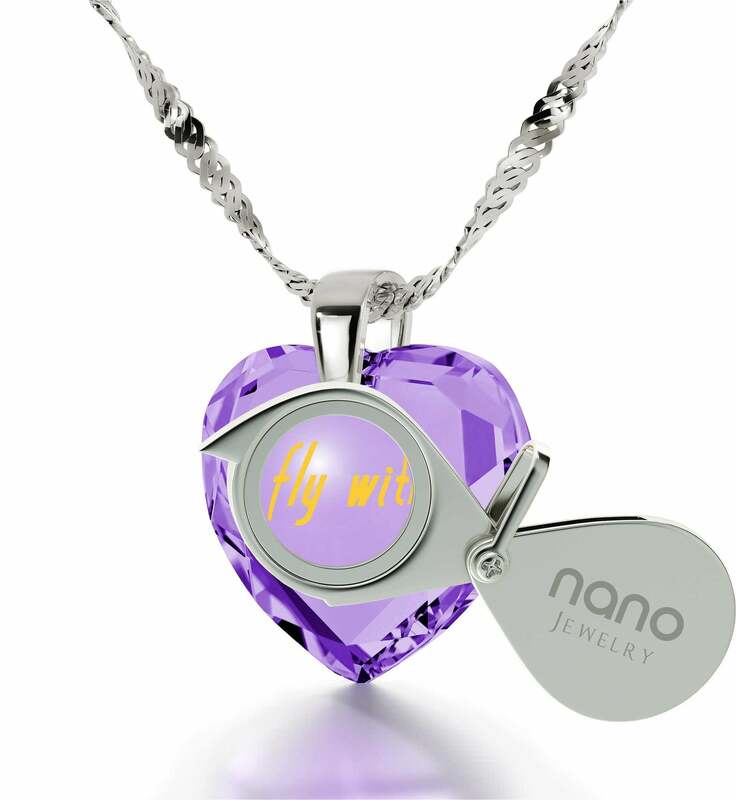 Such a strong conviction needs to be proclaimed loud and clear, and what better way to do so than with an exceptional love gift for girlfriends, a jewelry birthday gift for her unlike anything she’s seen before! 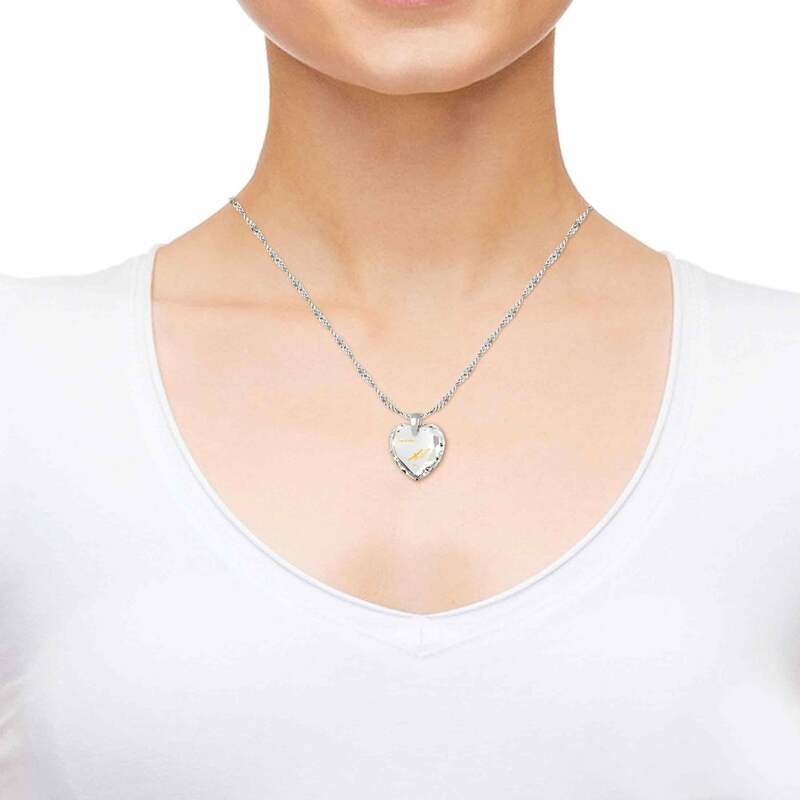 Sure, this silver necklace for women looks like a high-quality piece you might find at an upscale jeweler, but that alone wouldn’t be enough to make it stand out as a top gift idea for women without a deeper meaning to it. She’ll discover that once she gazes into the intriguing 24k pure gold inscription on its heart-shaped cubic zirconia gem. What’s so special about that you ask? 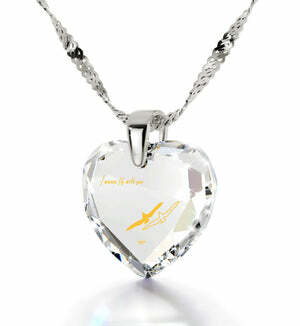 For starters, it lasts forever, so it will never fade away or lose its shine. More importantly though, no one except Nano Jewelry can adorn gemstones with such detailed golden script, meaning that the necklace can’t be copied or imitated. What you have here then is a truly unique necklace that’s sure to become her favorite accessory. 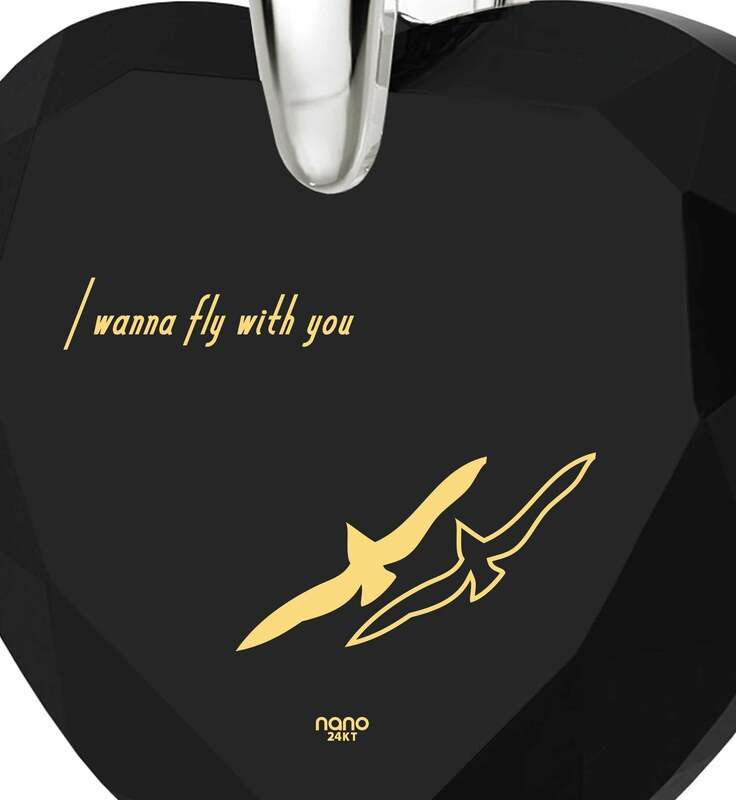 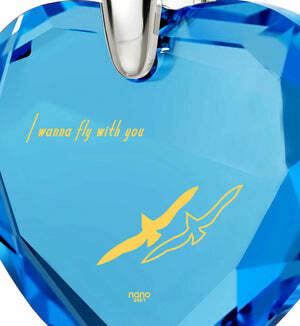 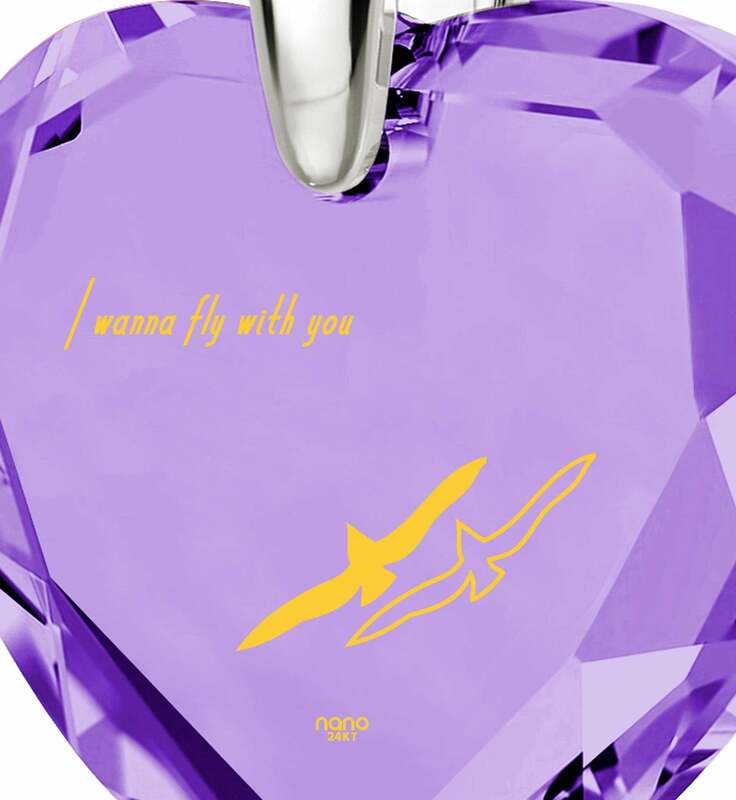 The inscription reads “I wanna fly with you” in flowing golden letters with a couple of swallows in flight below it. 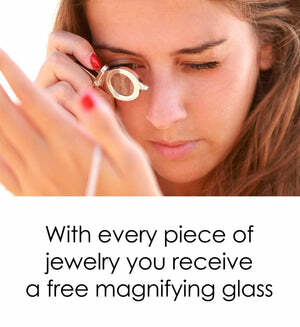 Exploring the thinnest of lines will be easy and exciting for her as we’ve also included a custom-made magnifying glass as part of the package. Speaking of packages, no surprise gift for her would be complete without a luxurious box that houses everything and will add to the suspense before she firsts opens it up. Once she does and beholds the wonderful surprise inside, she’s sure to love it. 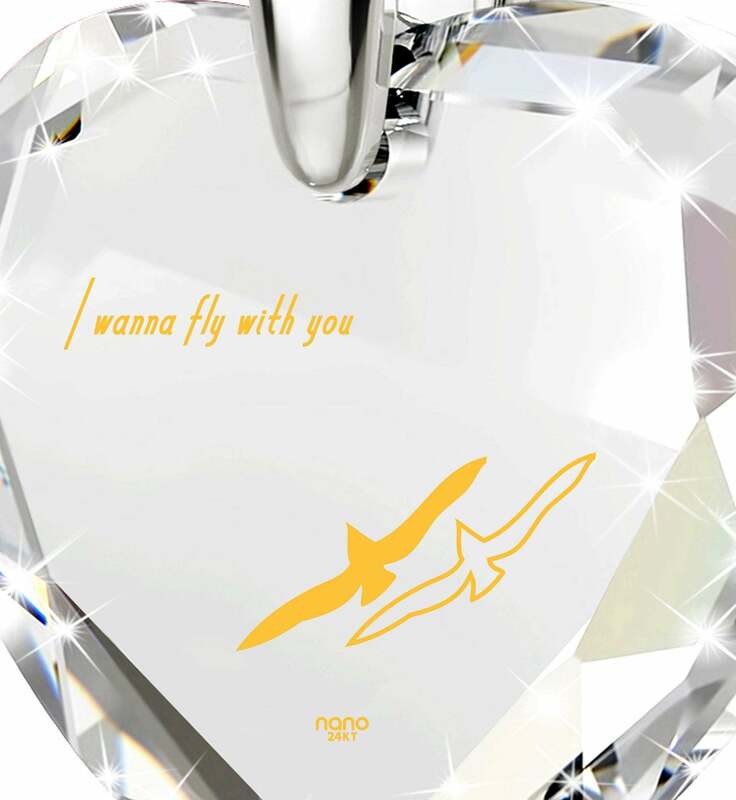 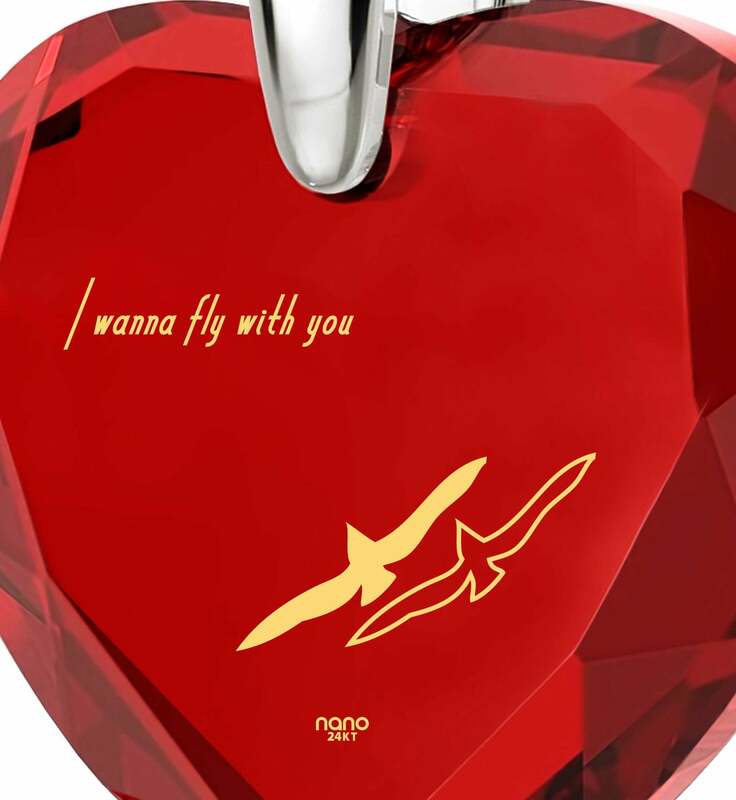 "I Wanna Fly With You"